I did quite a few drawings in my Moleskine. 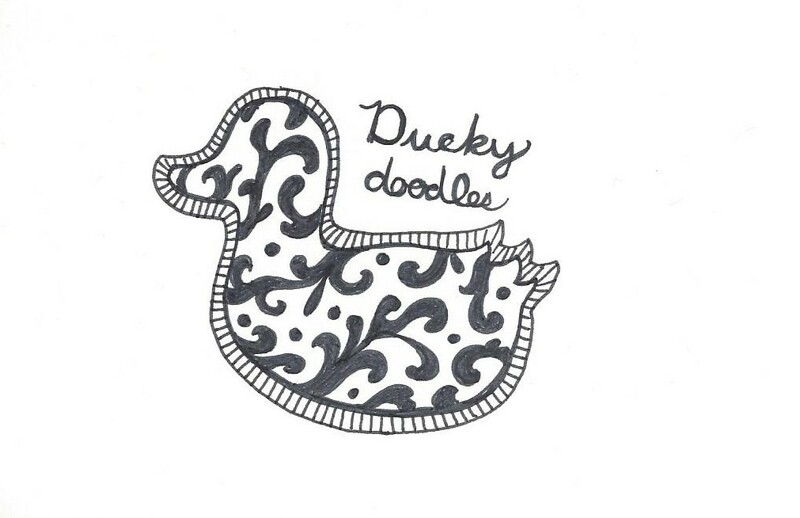 They aren’t typical doodles. 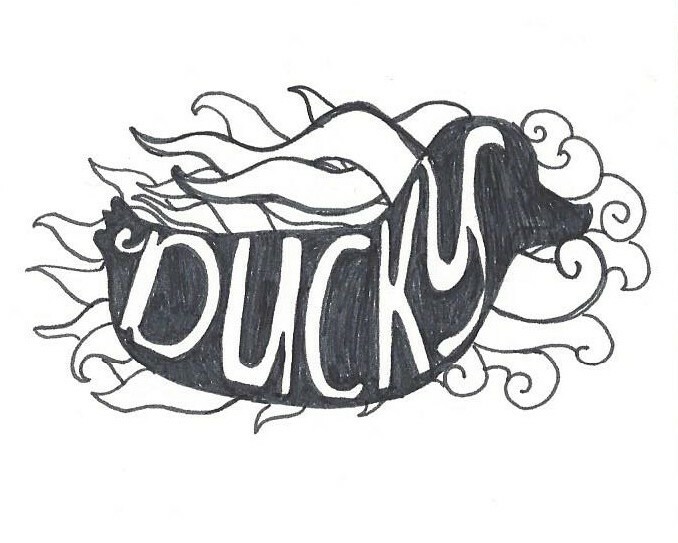 These two are potential Ducky Doodles logos. I decided I need some business cards, and what better way to design a card than with a doodle! I like the idea of this duck, but the execution leaves something to be desired. Maybe I’ll come back to this concept. Becaise of the nature of my Moleskine, I don’t always have the ability to use larger markers to spot the blacks or fill in with other colors.